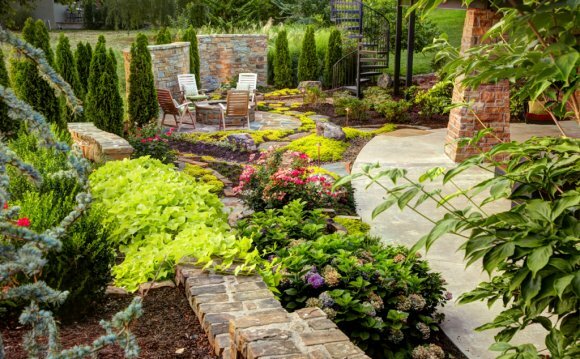 Daniel McCurry of the Birmingham branch has surrounded himself in a world of horticulture and design style. He holds a Bachelor of Science in Landscape Horticulture with a minor in Business Administration from Auburn University. Daniel’s love of landscape design started at young age, prompting him to start his own business at the age of 15. Upon graduation from college, he worked in Tacoma, Washington, and New Zealand before returning to Birmingham. Daniel loves the outdoors and enjoys designing landscape gardens, waterfalls and creating beautiful landscape lighting. Studying landscape style and property value is his passion. Andrew McCurry founded Father Nature in Tacoma in 2006, and relocated to Birmingham in 2009. Andrew has been gardening from childhood and earned his degree from Auburn University in Landscape Horticulture. A Southern grandmother instilled in him to always keep his fingernails dirty. His heart lives in the garden, designing & crafting retreats for families to spend their most memorable times. The garden is where he, his wife Blaire, son Quinn and 3 daughters (Maggie, Hensley and Ellian) spend their blue sky Sundays. Our mission is to be a company that cultivates growth, passion, servitude, family provision and provides an environment that is a fun place to work. Providing growth in the area of mental, spiritual, professional learning and skill building is what we hope for every employee at our company. We want each individual that comes into our environment to be inspired to leave with more knowledge due to their experience with us. We are committed to helping people create their story and an emotional connection between life and land. The Father Nature Team relies on each other heavily in order for this process to take place. As our lives evolve each day, let us not forget why we have a mission, who we are and why we have a story. We want to redefine the way you experience outdoor living. INTEGRITY: doing what is right when no one is watching. PASSION: loving life, people, what we do. GROWTH: spiritual, personal, professional, relational. TEAM: leveraging our talents to maximize potential. SERVE: giving back to our clients, teammates and community. VALUE: through quality, creativity and sustainability.